Will the DFL support unions? This amendment puts the DFL in a bind this election season. Right now, I’m betting that they’ll vote to put the constitutional amendment in front of voters. Here’s what’s happening. For 3 years, Republicans have pushed for additional funding for roads and bridges. Then-House Transportation Chair Tim Kelly proposed dedicating “a portion of existing tax revenue to transportation. Those taxes may include the sales tax on auto parts as well as taxes on leased vehicles and rental cars.” Initially, the DFL balked, saying that the money wasn’t dedicated, then arguing that taking that money from the general fund would take money from health care and education. 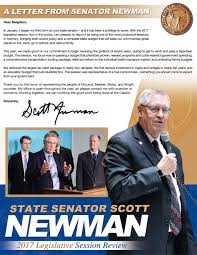 This week, “Scott Newman finally got his bill in front of lawmakers for the first time.” His constitutional amendment would dedicate “sales tax dollars from vehicle leases and rentals toward transportation projects” to the building of roads and bridges. The coalition supporting the bill includes business groups like the Minnesota Chamber of Commerce, contractors and some labor unions, including the International Union of Operating Engineers Local 49 and the Northern States Regional Council of Carpenters. “This is the biggest job creating bill you can pass this year,” said Jason George, the legislative and special projects director for Local 49, noting that the total spending would amount to dedicating less than 1 percent of the state budget toward transportation. “There are two things we should be treating with the utmost caution, and it’s our general fund and our Constitution,” said Bradley Peterson with Greater Minnesota Cities. “Putting a constitutional amendment on the ballot for potentially $300 million per year is premature.” School groups and other labor unions, including SEIU Healthcare Minnesota, testified that the bill would limit the pool of funds available for education and health programs across the state, which don’t currently have any dedicated funding streams. “We shouldn’t be pitting students against roads, and we shouldn’t be pitting healthcare against the trades,” said Sen. Matt Little, DFL-Lakeville. The question now is whether the DFL actively opposes this proposed constitutional amendment or if they’ll support the construction unions. At this point, they’re in a can’t-win situation. Thanks to Sen. Newman, Minnesota’s roads will likely have dedicated funding for roads and bridges. Wednesday, when Becerra was full of himself, hinted that he might arrest Sheriff Hutchens. Thursday, after Orange County voted to join US Attorney General Sessions’ lawsuit, Becerra backed down quicker than Barack Obama backed away from his Syrian red lines. Wednesday night, immigration attorney Raul Reyes did the unthinkable. He agreed with Tucker Carlson that Sandra Hutchens, the Orange County Sheriff, isn’t breaking the law and shouldn’t be arrested by California Attorney General Xavier Becerra. In fact, “Raul Reyes said he agreed with Carlson when it came to the case of one county official who is planning to post names of inmates-to-be-released so that ICE can take proper action. The official has been warned that their actions may defy the new state law. Reyes said it complies with the law because it doesn’t “single out” Latino names or names of illegal immigrants.” Later in the interview, though, Reyes said that most Californians agree with Becerra. From the judicial system’s perspective, it’s irrelevant if it’s popular politically. In this instance, the only thing that’s relevant is whether Sheriff Hutchens obeyed the language found in SB 54. SB 54 prohibits California law enforcement officials from contacting ICE and telling them when illegal immigrants who’ve broken California’s laws when the prisoners are getting released from jail. Sheriff Hutchens hasn’t contacted ICE. Instead, she’s simply posted the release dates for all prisoners. That’s what happens when legislation is sloppily written. Mr. Reyes might be right in saying that Becerra might be supported by Californians if he arrested Sheriff Hutchens. That’s what happens in the court of public opinion. In a court of law, though, that’s irrelevant. In court, what’s important is whether the state can produce evidence that proves beyond a reasonable doubt whether that Sheriff Hutchens broke the law. Since there isn’t proof that Sheriff Hutchens contacted the federal government, California can’t convict Hutchens of violating any criminal statute. In fact, depending on California state law, it’s possible the sheriff might be able to file a lawsuit of malicious prosecution against Mr. Becerra. According to the Cook Political Report, MN-3 is a toss-up race. People are free to believe what they want but I won’t join in with that opinion. I won’t buy that BS because Congressman Paulsen defeated State Sen. Terri Bonoff by almost 14 points. Congressman Paulsen garnered 57% of the vote while Ms. Bonoff only mustered 43%. At the time, the ‘experts’ were touting as fact what a top-tier candidate Bonoff was. I actually thought that she was a decent candidate, though I stopped short of calling her a top-tier candidate. I will do everything possible to reduce gun violence, ensure safe streets and address international threats? through a well-resourced State Department, which would? ensure that? diplomacy is our first line of defense. In other words, being an international wimp is Phillips’ path to international peace and being a gun grabber is the Phillips path to domestic tranquility. Ask the 14 students and 3 teachers from Parkland how well that approach works. The DFL isn’t in touch with families. If they were, they’d admit that millions of employees have gotten billions of dollars in bonuses, higher wages, better benefits or all of the above since the Trump/GOP tax cuts were enacted. The DFL would do well to actually start listening to the people, something they don’t do currently. The DFL should listen more to the blue collar workers. They’re the ones that delivered the White House to President Trump. The DFL should ignore environmental activists more, too. They’re part of the reason why the DFL lost the Minnesota State Senate. I’ll state this emphatically. Erik Paulsen and Jason Lewis will win re-election. It’s likely, IMHO, that the MNGOP will flip MN-1, too. The MNGOP is competitive in MN-8, too. In fact, there’s a strong chance that Minnesota Republicans will have a strong night this November. Director Comey isn’t being shy with his feelings about President Trump, saying “Mr. President, the American people will hear my story very soon. And they can judge for themselves who is honorable and who is not.” Realistically speaking, there won’t be much middle ground in public opinion. Comey’s apologists will defend his questionable half-hearted investigation of Hillary. President Trump’s supporters won’t flinch in their support of President Trump. Though public opinion isn’t likely to sway much during his book tour, the best chance for a significant shift will happen when Bret Baier interviews Comey. Jake Tapper, Baier and ABC’s George Stephanopoulos will be the highest profile anchors to interview Comey. Of that trio, only Baier has a reputation of consistently asking difficult questions. The potential for ruining Comey’s book tour is high because IG Michael Horowitz’s report will likely be published after the initial wave of book tour interviews. Saying that Horowitz’s report likely won’t flatter Comey is understatement. Dershowitz reminds us that either Comey is lying or that McCabe is lying about leaking. When the Horowitz report comes out, it’s possible that there’s evidence that both have lied. That’s why the Horowitz report is a potential powder keg. California once was called the Golden State. Since the influx of illegal immigrants started, California’s image has suffered mightily. Homelessness has risen dramatically. The middle class have started leaving the state. Income inequality has risen despite Gov. Moonbeam’s sticking to the progressives’ script to a T. It’s gotten so bad that the LATimes is writing about California’s homeless crisis. It’s stunning to read that “next year, the state expects to spend $700 million on homelessness.” The more California follows the progressive checklist, the more they’ll experience income inequality, the more they’ll trigger the middle class flight that they’re experiencing and, eventually, the more that they’ll increase homelessness. It’ll just tell them that California’s economy is rigged in favor of Silicon Valley and Hollywood. It says that the American Dream is only alive for the well-connected. You won’t attract people with that image. I love it when uppity peasants tell a rogue government to obey the laws of the land. That’s what’s happening in California with regards to their unconstitutional sanctuary state law. The people are telling Gov. Moonbeam, aka Jerry Brown, and Xavier Becerra, his smug little State Attorney General, that they won’t obey the dictates of SB 54. Orange County Sheriff Sandra Hutchens, along with other California sheriffs, spoke out in opposition to the law, SB 54. On Monday, Hutchens made inmate release dates — including for those in the country illegally — public in response to the state law. I’m not on the ground in California but, if I had to guess, I’d guess that things will get more heated. Brown and Becerra overplayed their hands. Soon, they’ll pay the price for their arrogance. First, the director being talked about in 8 U.S. Code 1522(b) is the director of the office of “the Minnesota Office of Refugee Resettlement.” Next, it’s worth noting that Ms. Blythe states unambiguously that the State Department “develops a Cooperative Agreement with affiliates, such as Lutheran Social Service of MN” and that this Cooperative Agreement “stipulates the services” Volags like LSS of Minnesota “must provide” to maintain their contract with the State Department. In other words, Ms. Blythe thinks that the State Department dictates to the Volag what they must do and that the local government is just to be informed. She clearly isn’t informed. Other things that can be learned from Ms. Blythe’s reply are that she anticipates refugees needing to use lots of health care and that they’ll use lots of things from Social Services. In Councilman Jeff Goerger’s resolution, Goerger insinuated that there wasn’t much of a cost to city taxpayers. Based on the stakeholders list, I’m betting that there’s a substantial cost to taxpayers.